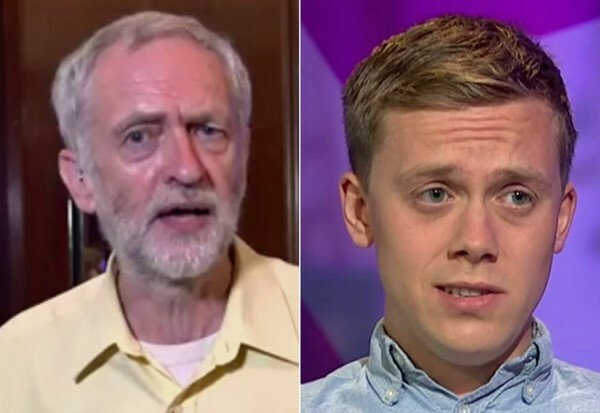 Does Owen Jones understand that Labour’s problem isn’t the leader – it’s media distortion of his message? Tom London’s perceptive piece countering Owen Jones’s criticism of Jeremy Corbyn makes excellent points. There is nothing wrong with Mr Corbyn’s policies. There is everything wrong with right-wing Labour MPs’ response to them – and their leader. There is everything wrong with right-wing Labour’s assumption that it has policies that can win elections. They can’t. There is everything wrong with right-wing Labour’s claim to the more high ground, having sent Labour’s poll ratings crashing. Has anybody asked Hilary Benn, Angela Eagle, Owen Smith and the others if they are proud of what they’ve done to the party in the polls? There is everything wrong with Mr Jones’s claim that Mr Corbyn’s leadership qualities are the problem. There is everything wrong with any belief the right-wing Labour will willingly allow another left-winger onto a leadership ballot paper, considering the fact that nomination still relies on MPs, rather than the membership as a whole. And there is everything wrong with any belief that a new leader – from either side of the party – won’t run into exactly the same opposition from the media as Jeremy Corbyn has – unless he or she makes it explicit that Labour will not threaten the current status quo. And Labour exists to threaten the current status quo. Your current leaders exist to enrich themselves and impoverish you. Labour would put a stop to that – and that’s why you only hear criticism of Labour. Owen Jones has written an article this week in the Guardian calling on Jeremy Corbyn to stand down. I take what Jones says seriously but I think he is wrong. There are two issues here – the policy and the leader. It is a lazy and too common assumption that the Labour Party would be doing OK if only it had more centrist or right wing policies. This seems to be based on the example of Tony Blair. However, 2017 is not 1997. In particular, there have been two General Elections since the 2008 Crash and Labour has lost both of them. Labour’s underlying problems pre-date Corbyn. Labour lost almost 5 million votes between 1997 and 2010 (going from 13.5 million to 8.6 million). It was not Corbyn’s policies that led to a wipe-out in Scotland. Corbyn’s opponents fundamental claim is that they are the grown-ups, the sensible ones who know how to win elections. Yet they launched the shambolic, destructive and pointless coup last year just at the time when the Tories were on the ropes, which led to a disastrous plunging in Labour’s poll ratings which have never recovered since. Jones’ criticism of Corbyn is not about his policies but about his leadership qualities. 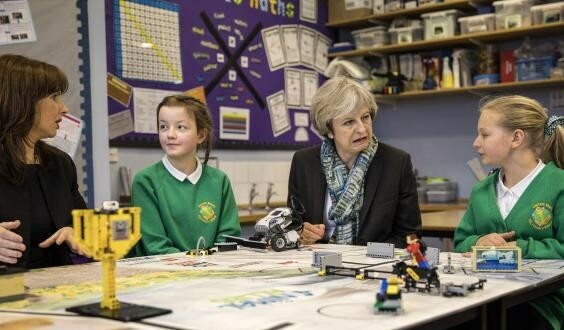 He says Corbyn is ineffective and wants him replaced with a younger, more effective communicator (unnamed). I have no problem with Jones’ idea in principle – (but I have two problems in practice). I support Corbyn not because of the man – although I admire him – but because of his policies. If someone else really could make them more likely to be implemented then it would make sense to support them. However – unless we are to have a dramatic announcement by a group of Labour MPs – Jones’ swap idea appears to be nothing more than pie in the sky dreaming. All the signs are to date that Labour MPs are doing everything in their power to ensure that a candidate with Corbyn’s policies will never be allowed to go on to the leadership ballot to be voted on by the membership. The second problem with the swap idea is that it underestimates the power of the UK elite, in particular through its control of the media. We don’t know who Jones new, improved Corbynite leader would be. However, even if they had the political skills of an Abraham Lincoln or a FDR and the looks of Justin Trudeau, as long as they put forward policies that threatened the UK’s elite they would face the same tsunami of bile and distortion that Corbyn has had to endure and the same blocking of their positive message. Owen is frustrated & can’t understand why Corbyn hasn’t come out fighting his opposer’s to shut them up, that’s what previous leaders have done by whatever means, previous leaders had the backing of the majority of the NEC and HQ big wigs. Mike, did you see on thursdays Question Time a so called Labour supporter thought it a good idea to have a snap election so we (he) could get rid of Jeremy Corbin and replace him with Chuka Umunna ? This apparantly would increase Labours chances of winning. Had been out picking up election leaflets and by the time I got back, I really didn’t have the stomach for pro-Tory propaganda on the BBC. It seems I made the right decision. I don’t usually watch it these days either. Every week makes time for a Corbyn bashing session. I saw it. Some people are so gullible. Chuka Ummuna? I’d like to have a few words with that one! I am not impressed by Jones’s comments, and as for looking for a younger leader I hope he is not hoping to be on the list as that would almost make me vote for the Tories; although most of his comments seem to be helping the Tories rather than true Labour. Owen should know better than to bend to the rule of media barons! So long as there are voices of truth than the intelligence people will listen! Owen now sounds like the right wingers. Too true, they wouldn’t let another left-winger on the ballot paper. In the same way as we are now in the disastrous Brexit situation, because Cameron never believed Leave could win, the Blairites left Corbyn on the ballot because the idea of his winning was absurd to them. I think Jones wants the job. Doesn’t’t matter how nice and clean cut and media savvy a Labour might, if he’s to the left Of Thatcher he or she will get a pasting in the media. The corporate establishment and tax dodging newspaper owners will see to that, not to mention a BBC crawling with Tories. Jones won’t acknowledge this,though, because he’s part of that machinery, much as he’d whine about such an accusation. If the right wingers cannot even comprehend JC’s agenda how the hell do they propose to be attractive to a labour population who are fed up with lying tories. The last thing that is needed is a bunch of Blair lookalikes selling Tory ideas. I think I would go along with a much stronger line of moving these trojan tories out of the driving seat of control or better still confine them to the car boot. They had their 5 mins of fame lets try something really different..
No, he isn’t. The article explains my reasons for saying that. The fact that poor old po-face Jeremy Corbyn has less charm and charisma of a whelk and couldn’t persuade a man dying of thirst in the middle of the Gobi desert drink water from his cup might have something to do with it, Mike. Have you really been reduced to low and vulgar abuse? Ladies and gentlemen: I give you the face of right-wing Labour. This story is so old, now. I don’t understand why Owen can’t see what has been staring the rest of us in the face ever since Jeremy Corbyn was nominated. It’s pitiful. If Jeremy Corbyn hadn’t had to spend his entire leadership fighting his own M.P.s instead of the Tories, we might have the effective opposition that the same M.P.s, Tories and media loudhailers have been shouting about. Oh, the hypocrisy. Meanwhile, the Tories have shown their true colours, yet again and no doubt, people will still be stupid enough to vote for them, because they have been brainwashed into believing that Jeremy Corbyn is a disaster, the £abour Party is ancient history etc. I’m bored of it, now. Come on, Mr. Trump, show us what fake news really is! It’s actually trying to hear his message in the first place that’s the trouble. My paper, The Mirror-I never saw one article by Diane Abbott when she was Health Secretary, now it’s Jon Ainsworth, he’s there time after time. And, if there’s an attack on Tory policy quotes needed, their usual go-to’s:-Michael Dugher, Carolyn Flint or Dan Jarvis, of whom only one has ever been in a JC shadow cabinet, and then was swiftly sacked. Diane, Richard Burgeon, Rebecca Long-Bailey & Alison Rayner might just as well not exist as far as the Mirror’s concerned. Can’t help but compare Mr Jones with Mhairi Black as they are the same age. Who is the most useful asset of the two? Thank God for the Morning Star! How to win General Election if you are out of favour with the media and establishment – keep your powder dry, do not rise to the pressure to respond to the desperate abuse levelled at you by the media – be confident your fair policies helping the majority of the population will be supported when you publish them during the election period. Brilliant piece of deconstruction Mike, The Guardian has changed dramatically since the change of editor, we all knew that it was never a Labour paper but it did allow genuine left wing views to be expressed, in the last couple of years it has turned into a rabid right wing rag comparable to the Daily Hate. Whether this has any bearing on Owen Jones switch away from supporting Jeremy Corbyn we will never know, but clearly it could have. I wrote on his video page on YouTube, that he has made himself irrelevant, he might be a nice young man, but we need people representing the Labour Party who have a real vision of what Labour has always stood for, “Fairness” doesn’t only mean we listen to someone else’s point of view but that we recognise the need for equal distribution of wealth, wherein lies conflict, that has been our eternal struggle, to roll over in the face of opposition as he appears to have done, is hardly strength of character or conviction when compared to Jeremy Corbyn. I was there on the green outside Parliament, the night the vicious MPs abused him, and listened as he made no reference to the attacks made on him, but delivered a promise that he stood for change and wasn’t going to walk away from the people that supported that. John McDonnell had previously spoken and told how abusive to him those so called moderates were. When Owen Jones develops that kind of backbone, he too will deserve the kind of respect Jeremy Corbyn has. I too cannot see what you see. The leader is the shop front. Without a facelift they will walk on past. When Labour starts attacking and cannibalising its own you know that it’s in trouble. Right-wing Labour is in trouble, yes.